aged 2 years & 3 months. married to him in Oct 1828.
chanting songs of praise to our eternal God. 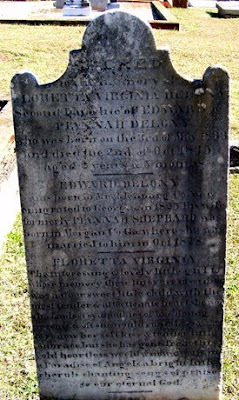 This tombstone can be found in Oak Hill Cemetery; Talbot County, Georgia. What a beautiful old gravestone. So sad to see the graves of little children. Thanks for sharing.